Centerstone announced Anne Tyree, MPA, CFRE as the company’s chief operating officer for Illinois (COO). Tyree will head day-to-day operations to ensure Centerstone grows and maintains operational excellence in across locations in Southern Illinois. Tyree served as chief administrative officer of Centerstone since May 2018, and previously served as vice president of marketing and business development. Tyree has worked with Centerstone and its legacy organizations for more than 16 years and has over 25 years of experience consulting with, managing and growing not for profit organizations. 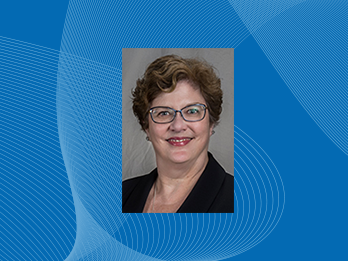 Her prior roles have included overseeing financial and administrative operations for the legacy organization, in addition to developing and implementing large scale service initiatives and facilities development. “Anne brings a wealth of knowledge to this role and I am confident that she will provide the leadership, management and vision necessary to support Centerstone’s clinical and operational goals,” Markley said. Tyree has a master’s of public administration focused in health care administration from American Public University System and a bachelor’s in English from the University of Illinois at Chicago. Tyree has 20 years’ experience as a Certified Fund Raising Executive, having earned the certification from CFRE International. She is a resident of rural Jersey County, Illinois.